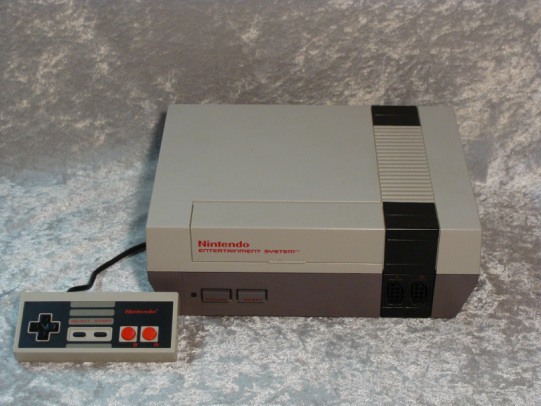 The Nintendo Entertainment system debuted to limited American markets starting in New York City on October 18, 1985 and had a full release a year later in four bundles. The Control deck bundle had a price of $199.95 USD and came bundled with two controllers and the Super Mario Bros game pack.The Deluxe Set $249.99 USD included R.O.B., a light zapper, two controllers and two games Gyromite and Duck Hunt.The Action Set was released in 1988 was sold for $149.99 and came with the console, two game controllers, a NES Zapper, and a dual game pack containing Super Mario Bros. and Duck Hunt. The Power Set was released in 1989 and had two controllers, a NES Zapper, a Power Pad, and a triple game pack with Super Mario Bros, Duck Hunt and World Class Track Meet.